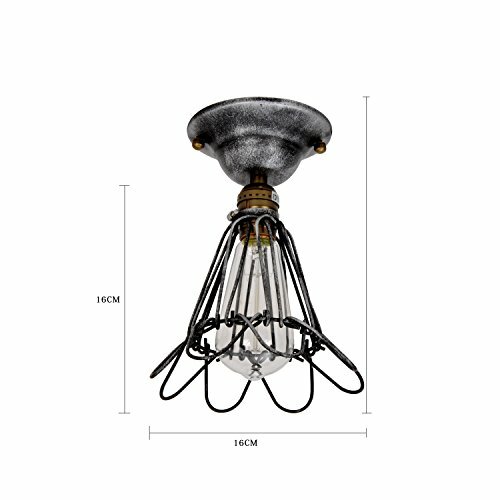 This flush mount light is provided by Unitary Home World,we are a professional lighting manufacturer, ensure that provide you the best quality and the most abundant category of lighting products.All products in factory have to undergo a rigorous safety monitoring,you can use them safely. The main part of this flush mount light is made of metal. 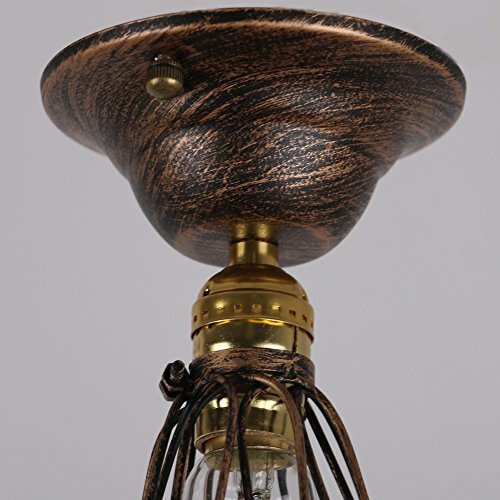 Height of the flush mount light is 7.87 inch, diameter is 7.09 inch. The voltage of this light is 110-120V,if you need 220-240V,please contact with us. You can use incandescent bulbs,CFLs and LED bulbs.Edison bulb is more suitable for the style of the item,but the light is dim,so we recommend that you use less than 5W CFLs or LED bulbs,which can save energy,and life is long. This flush mount light is suitable for the kitchen,barn,living room, porch,entryway,foyer use,but this is just a suggestion, you can according to your actual needs to choose where is installed in. 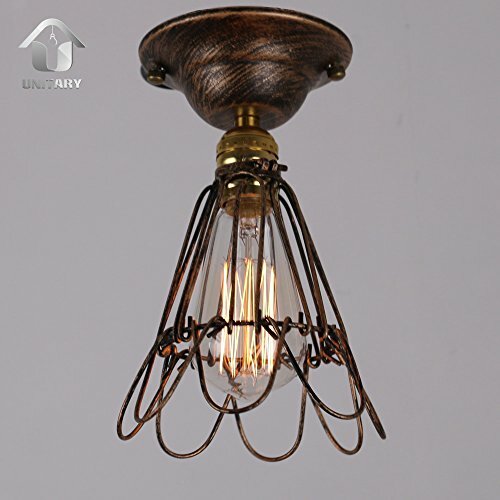 If the flush mount light is damaged when you receive the goods,Don't hesitate to contact us by message,we must reply you within 24 hours.If you have any other problem about the item,you also can email to us, We are willing to service for you.